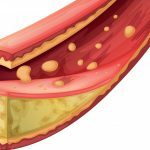 Home » What is Atherosclerosis and how does it originate? 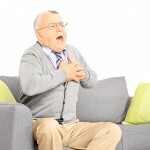 Atherosclerosis is a condition characterized by the accumulation of fatty material, low density lipoprotein or bad cholesterol (LDL) and other substances which adhere to the arterial walls, causing them to swell. Excess particles of bad cholesterol (LDL) in the bloodstream attach to the arterial walls and, in response, monocytes (white blood cells) travel to the injured site (within the arterial wall), adhering to the LDL particle. Once they’re inside the arterial wall, the monocytes or white blood cells turn into macrophages and cover LDL particles to dispose of them, forming a layer. This layer becomes inflamed due to the transformation of monocytes into macrophages. If there is little amount of LDL particles, macrophages capture all that have been oxidized and thus the inflammatory reaction of the artery wall is regulated. Conversely, if there’s excess LDL particles adhered to the affected area, macrophages will turn into foam cells. These foam cells adhered to the arterial walls may form a rigid substance called Atherosclerotic Plaques. Atherosclerotic plaques cause arteries to become more rigid and narrow, thus increasingly obstructing normal blood flow (loaded with oxygen and nutrients) to the different organs of the body which need it. Poor eating habits and the lack of physical activity that characterizes our current lifestyle, can lead to various health problems. 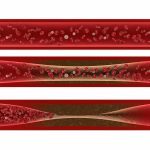 One of the consequences these factors may cause is damage within the arterial walls, which facilitates the formation of atherosclerotic plaques, which block normal blood flow to all of the body’s tissues and organs. 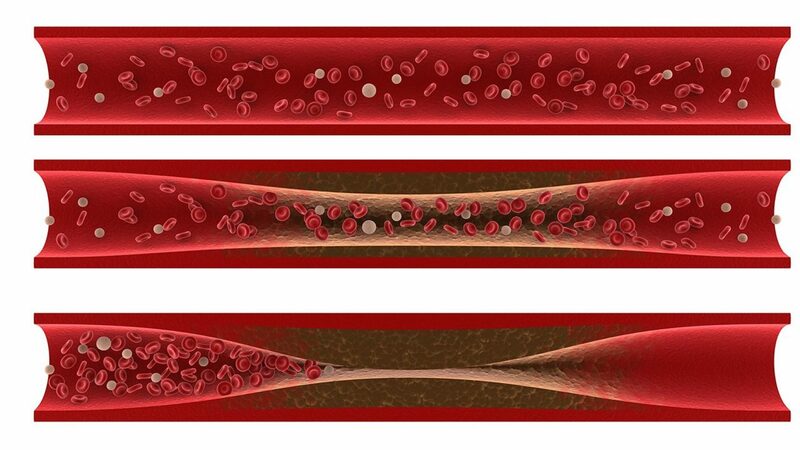 This is known as Atherosclerosis and can be a very dangerous health problem. Consuming foods rich in saturated fats (bad cholesterol) increases the risk and accelerates the formation of atherosclerotic plaques. Due to this, it’s very important for you to consume foods which are low in bad cholesterol (LDL) and high in good cholesterol (HDL), decreasing the risk of damage of the inner arterial walls or endothelial tissue. Overweight, obesity, hypertension, hypercholesterolemia, metabolic syndrome, Diabetes and cardiovascular disease, are undoubtedly at the top of the list of diseases related to our current lifestyle. 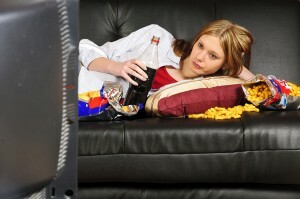 All of this increase the risk factors of other serious health problems, such as Atherosclerosis. 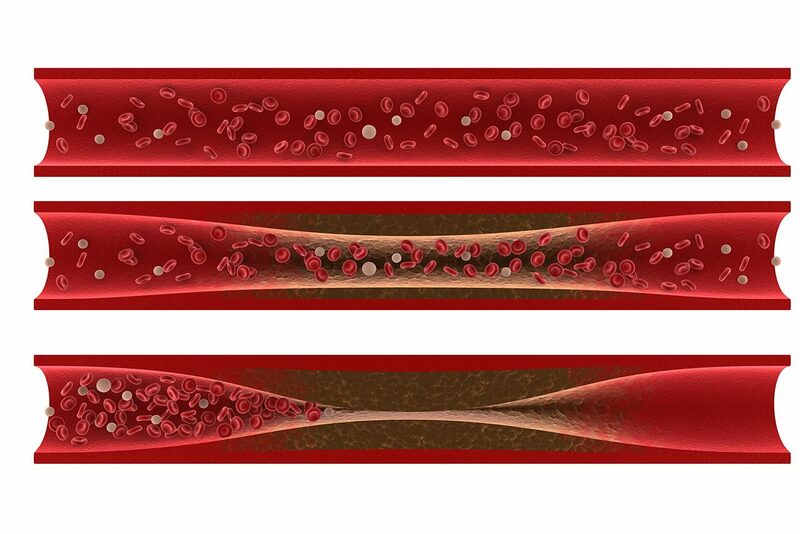 Atherosclerosis is a condition that can lead to fatal consequences. 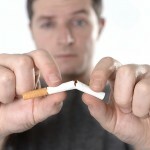 Fortunately we can minimize the risk of developing or halting its progression if we make the necessary lifestyle changes to avoid serious conditions it can lead to.